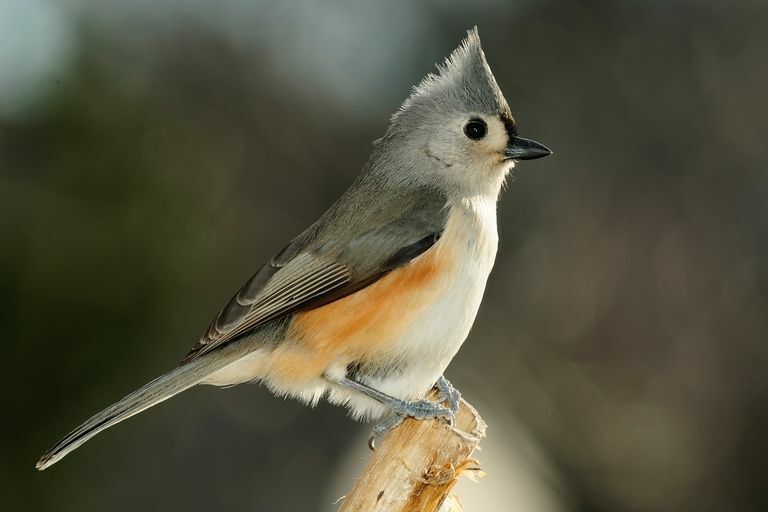 Male and female titmice have similar plumage, which makes identification a little bit easier, and titmice can be tempted to backyard bird feeders, so you may not have to go far at all to see one. Populations of tufted titmice stretch from the East Coast of the United States westward to the Plains of central Texas, Oklahoma, Nebraska, Kansas, and Iowa. The highest population densities of tufted titmice occur along the Ohio, Cumberland, Arkansas, and Mississippi rivers. Within their range, there are certain habitats that Tufted Titmice prefer—they are most common in deciduous and mixed-deciduous forests, especially those with a dense canopy or tall vegetation. Tufted Titmice also occur to a lesser extent in suburban areas, orchards, and wetlands and can be spotted at backyard bird feeders on occasion, during the fall and winter months. Tufted Titmice feed on insects and seeds. They forage on trees and can be seen on trunks and limbs looking for insects in the crevices of the bark. They also forage on the ground. Throughout the year, their preferred foraging locations can change. 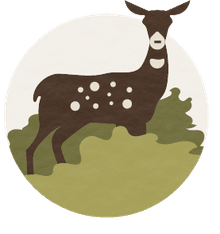 In summer months they spend more time foraging in the canopy of a tall tree, while in winter they can be spotted on trunks and in shorter trees more often. When cracking open nuts and seeds, Tufted Titmice hold the seed in their feet and hammer them with their bill. Tufted Titmice feed on a variety of invertebrates including caterpillars, beetles, ants, wasps, bees, treehoppers, spiders and snails. When feeding at backyard bird feeders, Tufted Titmice have a fondness for sunflower seeds, nuts, suet, and mealworms. Tufted Titmice move along branches and over the ground by jumping and hopping. When flying, their flight path is direct and not undulating. The song of the Tufted Titmouse is usually a clear, two-syllable whistle, peter peter peter peter. Their call is nasal and consists of a series of sharp notes, ti ti ti sii sii zhree zhree zhree. Tufted Titmice breed between March and May. The female generally lays between five and eight brown-speckled eggs in nests that are 3 to 90 feet high. They line their nests with soft materials such as wool, moss, cotton, leaves, bark, fur, or grass. The female incubates the eggs for 13 to 17 days. Tufted Titmice typically have one or two broods each season. The young of the first brood usually help care for the nestlings of the second brood. Most of the hatchlings die shortly after birth, but if they survive, they can life for more than two years. The oldest Tufted Titmouse on record lived to be 13 years old. The Tufted Titmouse is fully mature, and ready for reproduction, by age 1. The IUCN classifies the Tufted Titmouse's conservation status as "least concern." Researchers place the number of Tufted Titmice in the hundreds of thousands or millions. Their numbers have increased slightly in the past few decades, about 1 percent, and they have moved northward, from the southeastern U.S. to the New England region and Ontario, Canada. Since they are among the larger species of birds, competition is not thought to be a factor, but they may be moving northward to areas where there are more dense populations of trees due to climate change. “Tufted Titmouse.” Tufted Titmouse - Introduction | Birds of North America Online. Watt DJ. 1972. Comparison of the foraging behaviors of the Carolina Chickadee and Tufted Titmouse in northwestern Arkansas. M.Sc. thesis, Univ. Arkansas, Fayetteville.